Practising in West Yorkshire (Leeds/Bradford), I am a qualified Clinical Hypnotherapist and use hypnotherapy and neuro-linguistic programming (NLP) to help clients make positive changes in their lives. Unsure about hypnotherapy or if it is the right therapy for you? Concerned about being in trance? If so, contact me for a FREE Initial Consultation. 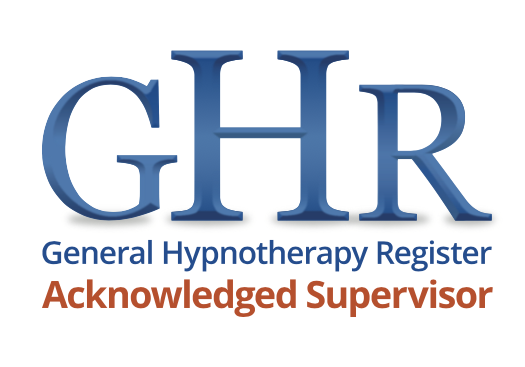 No hypnosis takes place at the free initial consultation session; the session is used to explain what hypnotherapy is and how it may be able to help you. It is simply a chance for us to meet, and for you to ask whatever questions about hypnotherapy and hypnosis that you like and to reassure you. You will not be under any pressure or obligations to book or pay for a paid therapy sessions and you are welcome to go home and think about things before making any decisions. However, if both of us feel that hypnotherapy is right for you, you would be able to book to come back on another occasion to begin therapy. OPENING TIMES: By appointment only, please ring 07979 392203 (24 hours - if no one answers please leave a message and I will call you back). Great Wave Hypnotherapy is fully compliant with GDPR and is registered with the Information Commissioner. Whatever is discussed in the treatment room remains confidential. I will not disclose any information to third parties, except where required by law, without the express consent of the Client. What will my hypnotherapy cost? We believe that therapeutic services should be affordable. An opportunity for you to meet your practitioner in a professional, private and confidential setting to discuss why you’re seeking help; in addition it enables me to explain hypnosis and assess whether hypnotherapy can help you. Allow 50 minutes for this meeting. Designed to help clients move on quickly from difficult and challenging periods in their lives. Ideal for those wishing to change unwanted habits and remove fears. 50-60 minutes per session. Ideal for managing anger, anxiety, exam/driving exam tension and performance anxiety issues building confidence and self-esteem. 50-60 minutes per session. For when the time is right for you to cut down or quit smoking tobacco or vaping completely. Explore ways of you, helping yourself, to quit. 90minute session (including initial discussion), plus follow-up if necessary. *Option 1: 60 minutes cost £60.00 - this covers an initial consultation plus a one-off therapy session which, if you are serious about giving up smoking, is usually enough. *Option 2: Anti-smoking “One session Plus” cost £100.00 - as Option 1 above, plus 1 follow up session, at your discretion, which provides extra support should you need it. For those sportsmen and women who are serious about moving up to the next level of their chosen sport. A programme designed to enhance your personal sporting performance. 50-60 minutes per session. A client specific programme, for those with sleep or relaxation issues; using pure hypnosis to relax and help you unwind in a way that makes sense to you. Allow 50-60 minutes for your session. Each session is planned around the requirements of the individual client; the number of sessions required will vary depending on the issue and the client’s requirements. *Please note that fees may change without prior notice. Payment - Payment for sessions is in advance. Cancellation - Please give at least 48 hours for cancellation of your appointment as this treatment time could be used for other clients who are waiting. If 48 hours notice is not given the full appointment rate may be charged.